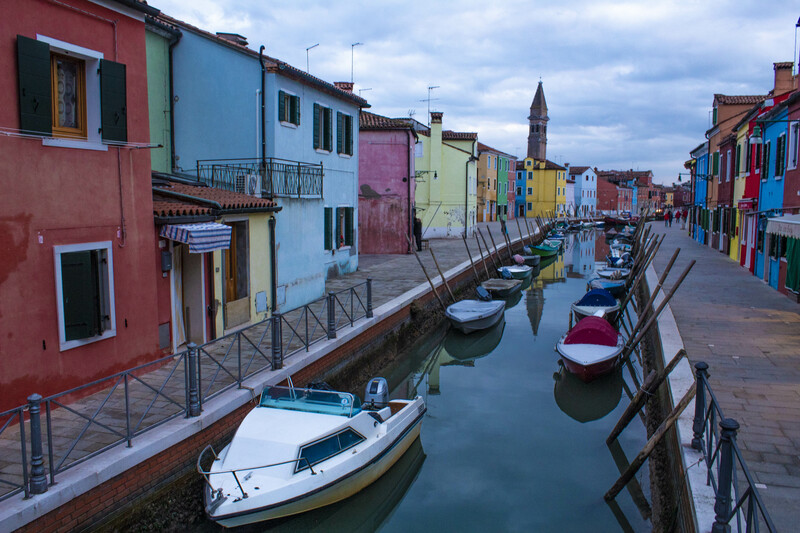 Only accessible by boat, Burano is a town of 3000 people known for textiles, seafood, and colorful buildings. As soon as I walked off the boat I smell fresh fish. Sure enough within a few feet, after getting off the boat, stands a seafood restaurant. 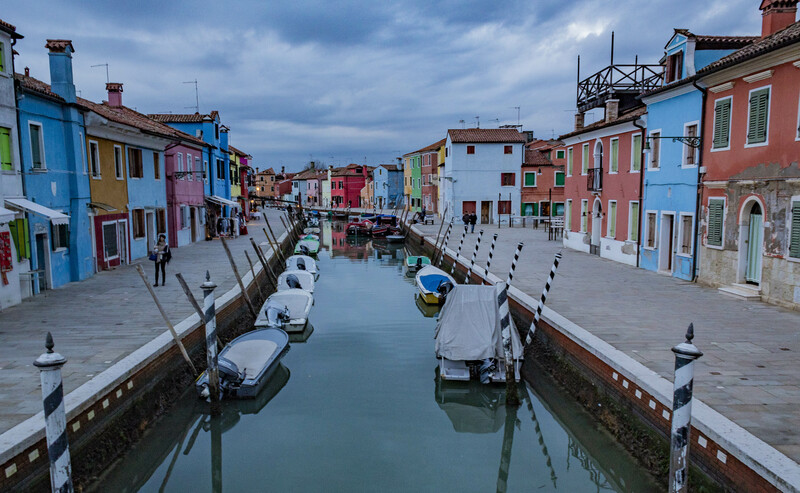 The entire city of Burano is laced with seafood joints, bakeries, and fine dining restaurants perfect for carb loading. Even knowing this I had a hankering for a cappuccino. The boat ride was a little chilly, and a hot cup of coffee is exactly what I needed. I sat in Al Vecio Pipa Vida, leached off some of their wifi, and enjoyed the warm for a few minutes. Stepping outside I am ready to brave the cold. 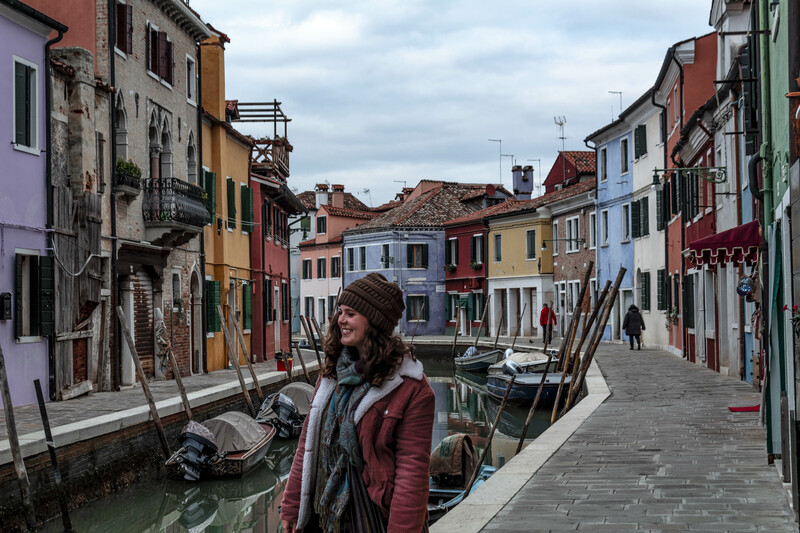 Barely able to contain my excitement, I strolled up and down the streets of Burano. 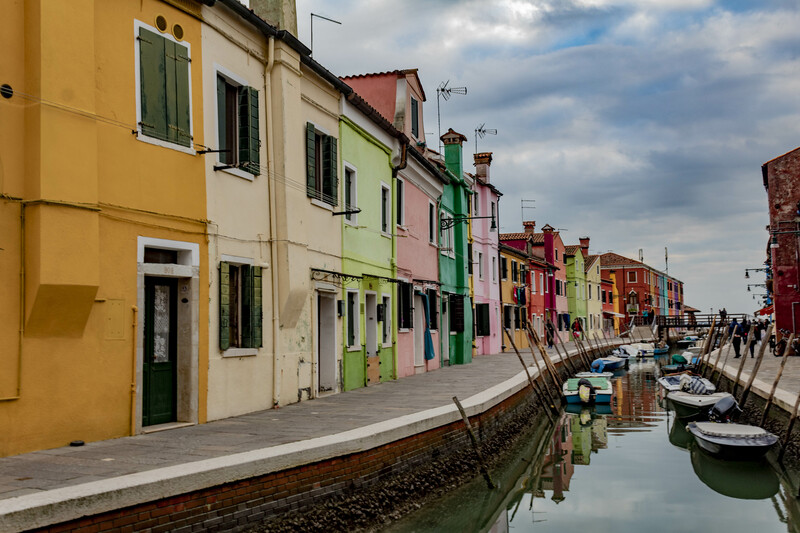 Burano is so picturesque, it is a photographers dream. I turn around a corner and I spot another set of colored houses blending with one another. 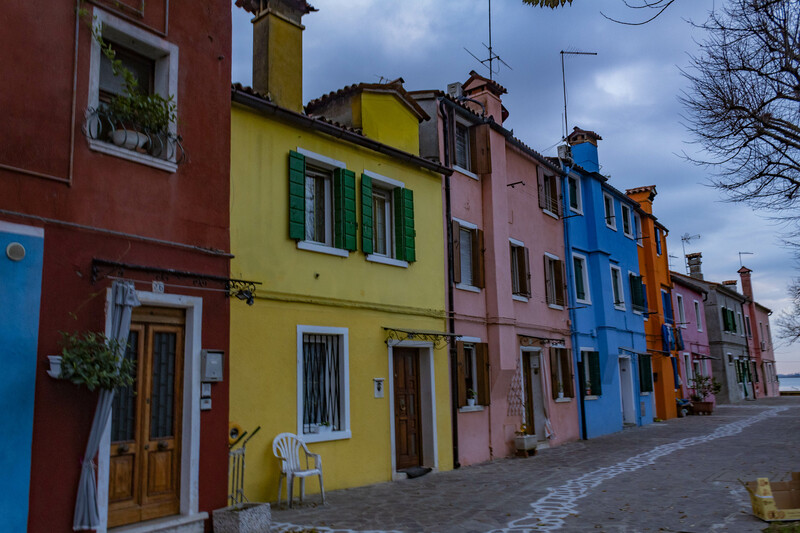 The houses were originally painted bright colors so that fishermen would find their way back home with ease. Each family has a specific color. It is amazing when beauty can collide with practicality. All buildings have the iconic Italian wavy shaped reddish-brown rooftops. 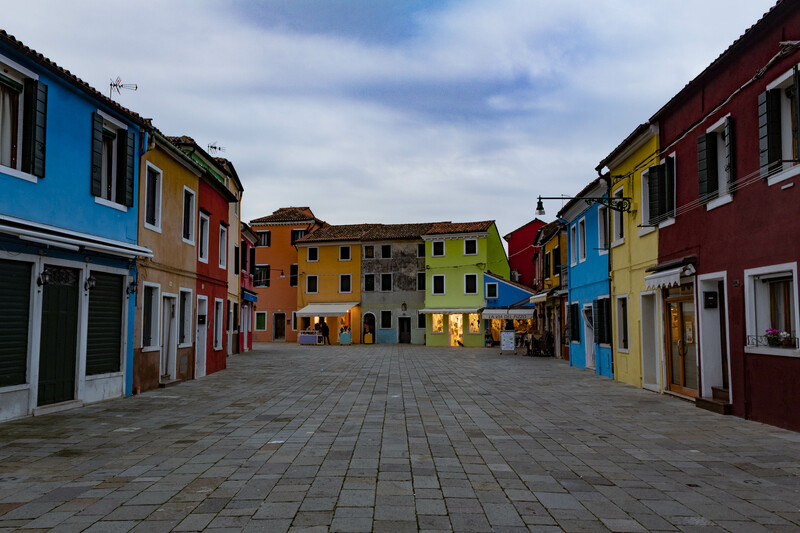 During the winter months, Burano is a quiet and cool place. Almost like a shade of blue, is blanketed over the city. There is not much to do, but a lot to see. 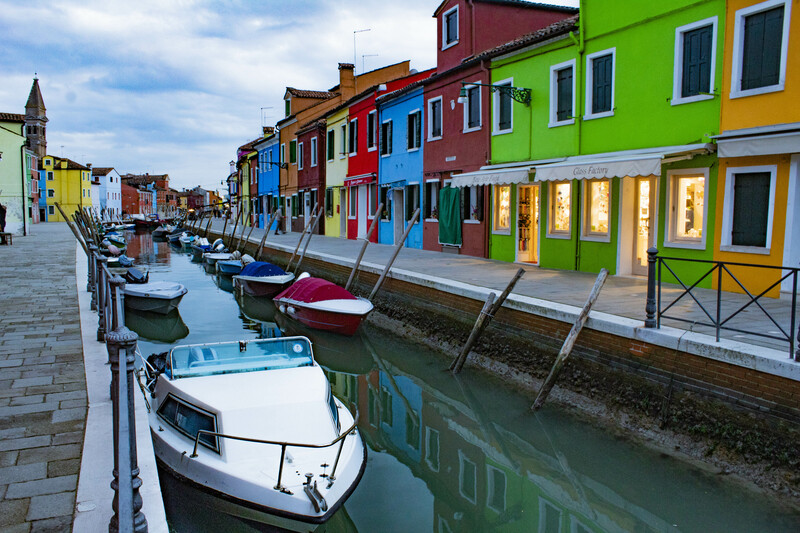 Burano is an excellent place for the ultimate relaxation. 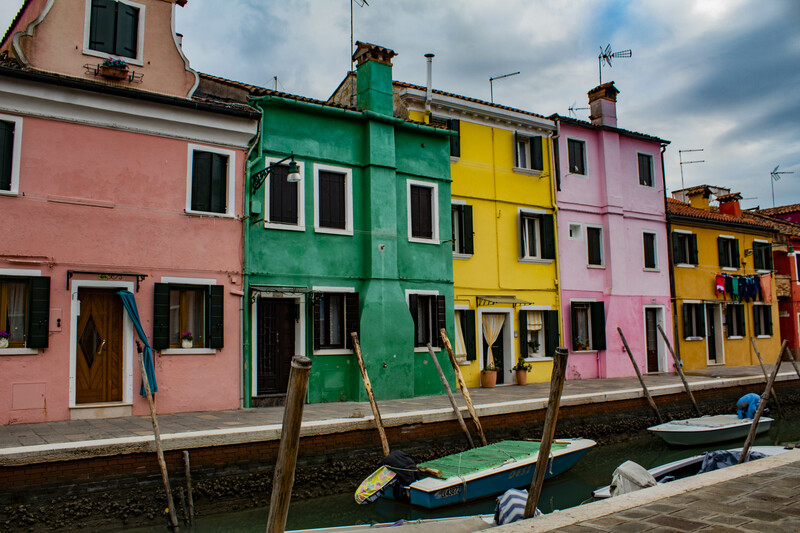 In the midst of awe-struck tourists, like myself, there is a local culture of Burano. I see fishermen coming home from a day’s work in their boots, laundry hangs outside windows on a line, and locals greet one another by exclaiming “Ciao” along the streets. 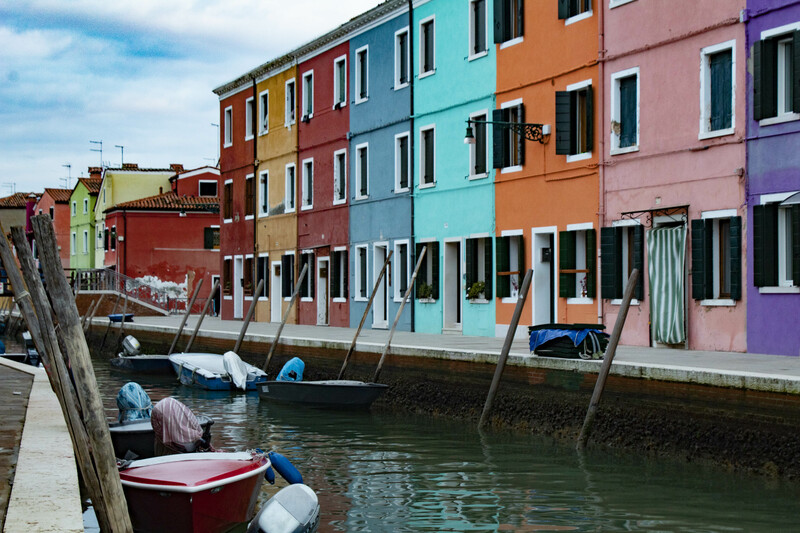 All over Venice, Burano included, there are striped poles at the beginning of a neighborhood. These Candyland looking poles are a specific color, depending on the neighborhood they represent. I peeled a clementine and snacked on it while sitting near the water’s edge, staying there until the sun went down. Everything is so magical in Burano I didn’t want to move. I wonder if the island is a utopia to all its inhabitants. It sure is my utopia. 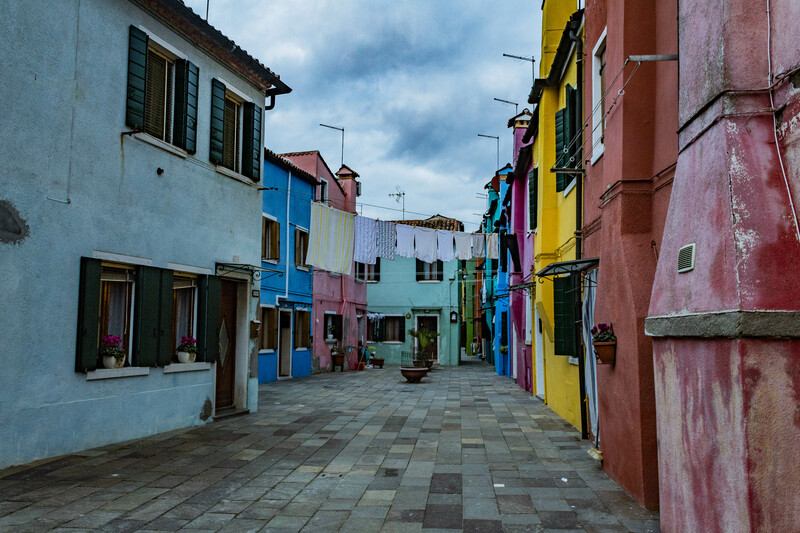 Burano is one of a kind city, that I wouldn’t miss for anything if I got the chance to go back to Venice again. 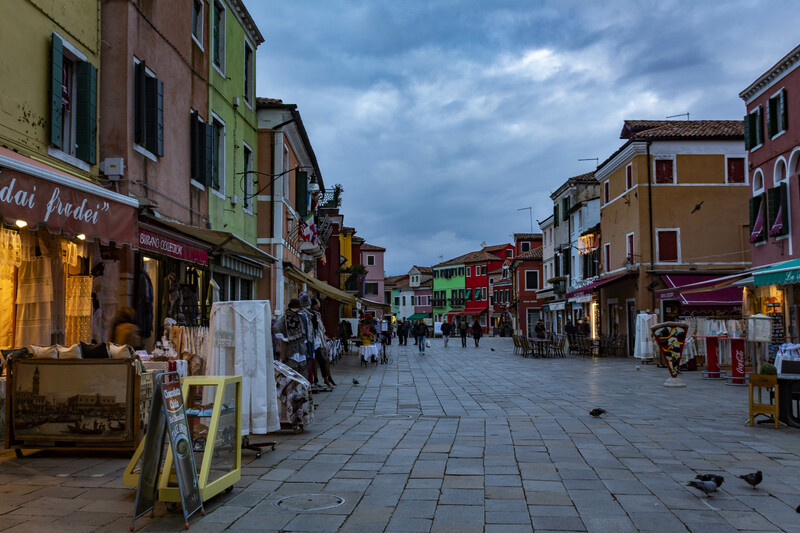 Though I am reluctant to leave, I realize that the town has gotten quieter and most other tourists have gone back to Venice for the day. It is time that I head back as well. 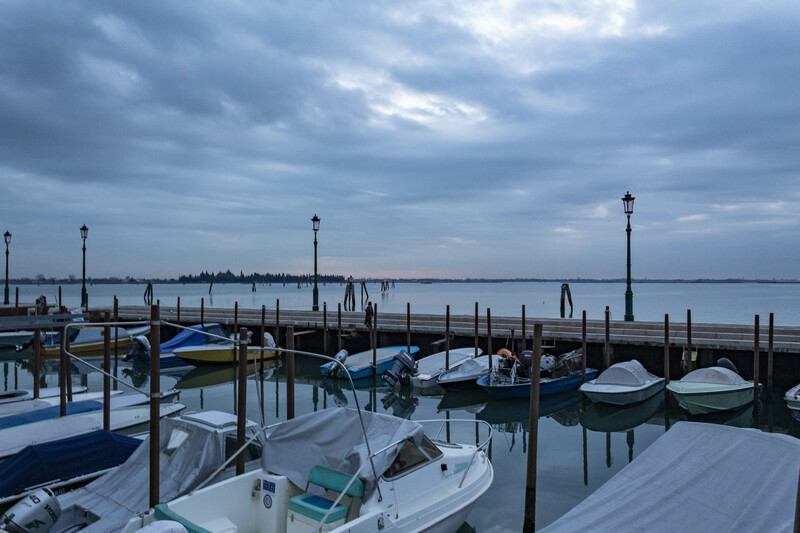 Luckily, the boats are easy to navigate and I am able to hop on the line 12 boat and head back to San Marco Piazza. By this time it is dark and I want to see the Christmas lights of San Marco one last time before leaving Venice.